I’m about to fly out for a 3-week trip to the US and China (24 July to 15 Aug). But fear not! The BNC blog will remain active over that time. Indeed, there are quite a number of new posts in the pipeline for this period, including guest pieces by Rob Parker (this Sunday), Geoff Russell (next week) and Peter Lang (soon — an executive summary and review of the ZCA critique), a couple of new energy policy and planning essays by yours truly, plus parts III and IV of the climate change basics series, part II of the sea level rise post, and some more TCASE entries. What will I be doing on my travels, you may ask? Well, first I fly to Chicago, where I’ll be working for a week with Dr Robert Lacy, Prof Resit Akcakaya and collaborators, on integrating spatial-demographic ecological models with climate change forecasts, and implementing multi-species projections (with the aim of improving estimates of extinction risk and provide better ranking of management and adaptation options). This work builds on a major research theme at the global ecology lab, and consequently, a whole bunch of my team are going with me — Prof Corey Bradshaw (lab co-director), my postdocs Dr Damien Fordham, Dr Mike Watts and Dr Thomas Prowse and Corey’s and my ex-postdoc, Dr Clive McMahon. This builds on earlier work that Corey and I had been pursuing, which he described on ConservationBytes last year. After that research workshop, I fly back across the states to Sacramento CA, where I’ll be staying with Tom Blees (author of Prescription for the Planet) for a few days. I’ll also be meeting up with Steve Kirsch and a few other SCGI folks then, which should be great. 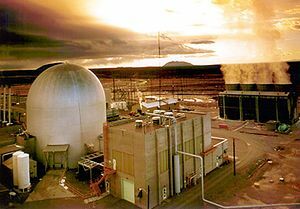 Then, Tom and I will drive up to Idaho Falls and stay for a few days with Dr Charles Till, who ran the superb R&D programme for the Integral Fast Reactor at the Argonne West National Laboratory. Chuck, along with other members of the 1984-1994 IFR research team, Dr Michael Linberry and Dr John Sackett, will give Tom and I a personalised tour of what is now the Idaho National Laboratory, including the site where the Experimental Breeder Reactor II was run, and a visit to the fuel conditioning facility. Needless to say, I can’t wait! 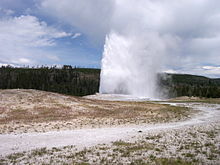 Then, Tom, Chuck and I will go on a sightseeing drive through Yellowstone National Park and the Grand Tetons, before I fly out of the US. This will be great, as I get to look over the sites occupied by the endangered Yellowstone grizzly bear, for which I wrote a population viability analysis (among other species) for my PhD studies back in the 1990s. 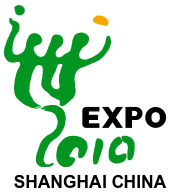 I then go straight to Shanghai for World Expo 2010, where I’m a plenary speaker at the ‘Australia — China Futures Dialogues: Achieving Sustainable Economic Development in the Asia Pacific’, thanks to an invitation from Prof Andrew O’Neil of the Griffith Asia Institute. I’ll be talking about climate change, sustainability, and of course, nuclear power and other alternative energy sources. Right, I’d better go and pack, I’ve got a lot of last minute organisation to get done! Sounds like a fantastic trip Barry, I’m jealous! I hope you’ll give us a report on BNC after you return. I’d like to hear a first-hand view about what the IFR facility was like. It’s a shame you won’t be stopping by Argonne National Lab while you’re in Chicago, where much of the historical and ongoing US fast reactor design work occurred. Be sure to try some Chicago-style pizza while you’re in the area and have a great trip. Color me envious! I bet you will have plenty of interesting insights to share when you get back. On a much lower key I am planning visits next month to my power company’s thermal solar and photo-voltaic projects that cover 18,000 acres. If I get lucky I may talk my way into a visit to one of their two nukes. OT – I’m standing in the seat of Bennelong as a candidate for the Liberal Democrats (LDP). I’d appreciate your vote if any of you live in the area. The Liberal Democrats are the only political party contesting this election that has a policy in support of Nuclear Power. Can you ask Tom Blees two questions for me please? 1.) Where the hell can I get a copy of his book here in the UK? I’ve tried all the high street book sellers and ordering from my library, but no avail. I’d happily send him the money personally, in return for a copy. 2.) I haven’t read PftP for reasons explained about, but I’m wondering if there is any mention (or if he knows ) of any way in which air transport could be powered using Boron? Pity the Lib Dems in Britain didn’t think likewise. Can you ask Tom Blees … if there is any mention (or if he knows ) of any way in which air transport could be powered using Boron? Answered in Open Thread 5. Huw, shoot me an email with your email address, okay? You can email me from my book’s website (at “Contact the author” on the left), at prescriptionfortheplanet.com. Sorry it’s been such a hassle for you.